Born in Toronto Canada, Norman R. Brown is a highly developed and sensitive painter. Painting has been a natural form of expression since childhood. His ability to capture light and vibrant colours, as well as varying moods and feelings within each painting, is quite remarkable. Norman's paintings are alive with discovering nature and the natural beauty the world offers to all of us. The concern and love he carries for the environment are always evident in his work. In pursuit of inspiration, Norman has toured coast to coast, with particular emphasis on all of rural Ontario. 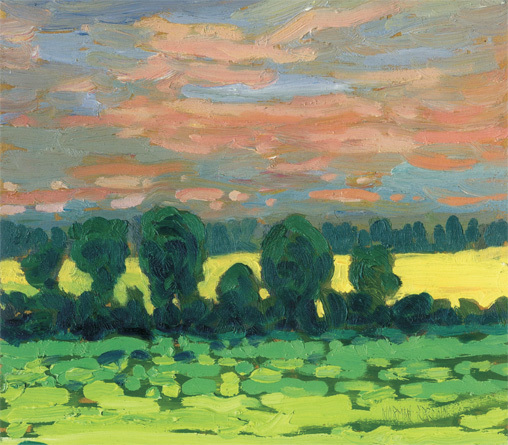 Norman has received many awards for his work and high praise for his paintings throughout Canada, the U.S., Europe, and Asia. He is well respected for his repeated generosity in providing work to several charities. He has also participated in numerous exhibitions throughout Ontario. Norman's paintings currently are displayed in prominent public and private art collections across Canada and around the world.